Virender Sehwag slammed the highest score by an Indian against Bangla Desh in the inaugural match of the ICC World Cup match played at Mirpur. Bangla Desh won the toss and elected to field first keeping the dew factor in mind which might fall in the second part of the game so also that they find run chasing easier. Sehwag started the tournament with the usual flurry of shots. He sent the first ball of the match to the long-on boundary. Shafiul offered Sehwag width again and watched the final ball speed to the cover boundary. In his second over, Shafiul erred by offering Sachin Tendulkar two deliveries on the pads: both were flicked to the boundary. India won the toss and asked South Africa to bat first who scored 250 for 9 wickets. Rain had curtailed the match on Sunday at the Centurion and the Indians had been required to score a revised target of 268 in 46 overs. If there was a fight-back by India, the lone crusader was Yusuf Pathan who launched an unparalleled assault to demonstrate that India meant business and that it shouldn’t be a cake-walk for South Africa but his knock could not provide the much needed victory to India. Yusuf blasted a century off 68 balls and at that stage less than 50 runs were required for India to win the match and chaos was evident in the South African team. But after completing his century Yusuf gave a catch and was out much to the relief of South African team as well as the spectators. Yusuf Pathan’s chanceless 59 helped India beat South Africa by two wickets during the second ODI in Cape Town on Tuesday. India were struggling at 93 for 5 before Pathan and Raina steadied the innings with a 75-run partnership. 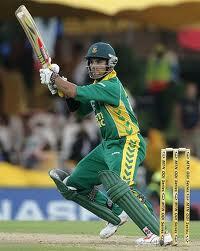 South Africa had made 220 runs and Plessis and Duminy helped South Africa’s recovery earlier. Thereafter, Harbhajan Singh and Zaheer Khan then ensured that India won the match to give a 2-1 lead in the five ODI series. Yusuf Pathan helped India recover from a top-order collapse to eke out a thrilling two-wicket win over South Africa in the third one-dayer here. The exclusion of middle-order batsman Rohit Sharma was the major surprise in India’s 15-man World Cup squad announced in Chennai by the Selection Committee that met on Monday for the ICC World Cup 2011, which begins from February 19. The other bone of contention had been the second specialist spinner’s slot, and the selectors have picked both offspinner R Ashwin and leg spinner Piyush Chawla, ahead of left-arm spinner Pragyan Ojha. Another surprise omission was Sreesanth who has been bowling well and has been amongst the wickets in the cricket matches being played in South Africa. The announcement also allayed fears about the injury-scare that hit the Indian camp on the South African tour, with all the four injured players – Sachin Tendulkar, Virender Sehwag, Gautam Gambhir and Praveen Kumar – being named. The Indian Premium League auction has shown that the franchises have opted for youth over experience while buying players for their respective teams. Yes, the big guns of yester-years had no takers and the lesser known players have been bought for huge sums. Gautam Gambhir is the highest paid at $2.4 million. Yusaf Pathan, Robin Uthappa, Rohit Sharma, Saurabh Tewary and Yuvraj Singh have also seen an upward revision of their purse at the IPL door. As per IPL laws, only four foreign players are allowed in the playing eleven and the rest have to be Indians, as such the franchises need at least 70 Indian players who have an impact on Cricket. The franchises are, therefore, willing to shell out large sums of money to get the best out of the lot available. India scored 166 runs for 3 wickets on the fifth and final day of the third test and saved the series. The three test series ended in a 1-1 draw. The Indian bowlers failed on the fourth day to capitalise on the advantage which India had and on the fifth day Indian batsmen ensured that they were able to draw the series for the first time in South Africa. Rahul Dravid and Gautam Gambhir were the walls between South Africa and a series win at home. South Africa suffered one of their worst ever defeats at the hands of India in Durban on Wednesday. India made amends for the drubbing at Centurion with a sensational 87-run victory against South Africa in a low-scoring second cricket Test to level the three-match series 1-1. India had set SA a target of 303, and the Indians put up a disciplined show to dismiss the hosts for 215 after the lunch break. This was their second win in a Test match in South Africa. The 123-run victory in the first Test at Johannesburg in 2006 was their first Test victory there. No one ever thought that this 16 year old lad who hit three sixes in an over off Abdul Qadir on debut in the Karachi Test in 1989, would one day create records which would be unsurpassable for centuries to come. Sachin Ramesh Tendulkar caressed the ball through covers to achieve the milestone of 50 centuries in test Cricket in India’s first test against South Africa at the Centurion Park. 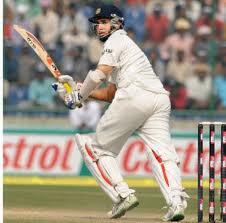 I feel that even our great-grand-children will be talking about Tendulkar’s records while discussing cricket. 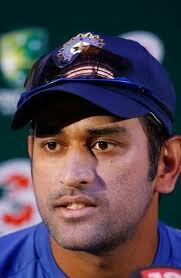 He has 96 centuries in International Cricket and is four short of the coveted century of centuries mark. His appetite for runs is insatiable and he commented on his fiftieth century by saying that it is another number and said that ‘he has dedicated this century to his father as it was his birthday yesterday’.